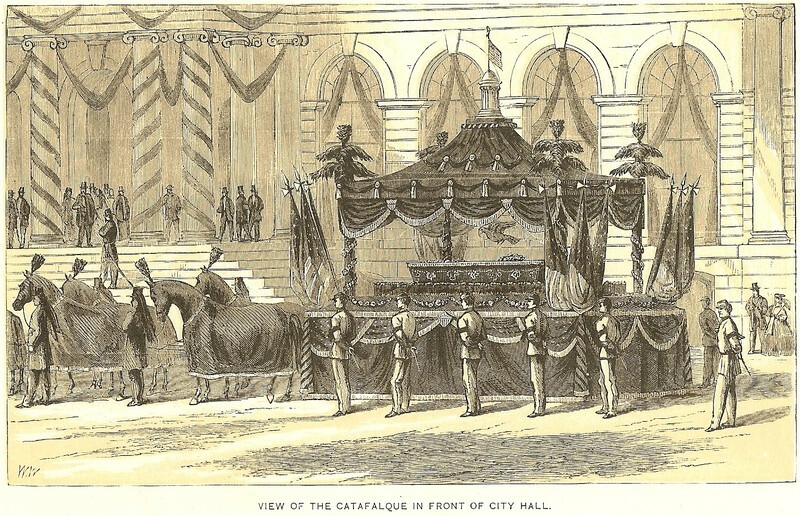 Sheet music booklet containing "Abraham Lincoln's Funeral March", composed by C.H. Bach, of Milwaukee, and published by H.N. Hempsted. A lithograph credited to L. Kurz of Chicago showing Lincoln surrounded by striped banners held by an eagle along with an "e pluribus unum" banner, and flanked by braziers with the text, "victory," and "emancipation," is printed on the cover. Use of this item for research, teaching and private study is permitted with proper citation and attribution, as defined here. Reproduction of this item for publication, broadcast or commercial use requires written permission. For permission, please contact The Detroit Historical Society.